Wow! What a masterpiece! 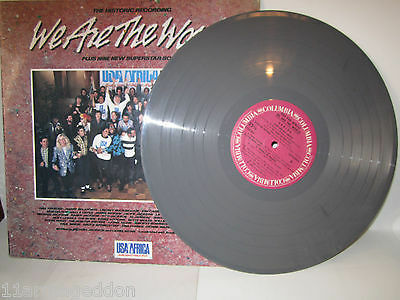 This "We are the world" release (sonewhere in South America, maybe Peru? or Colombia? Mexico?) it's a never-seen-it before item. I can't help you with additional infos, nor better pictures. This is all I've got. If you know something more about that...well, you're welcome!